Belonging to the “Nyingma” sect and located in the Pin Valley in Himachal Pradesh is a monastery called Kungri. 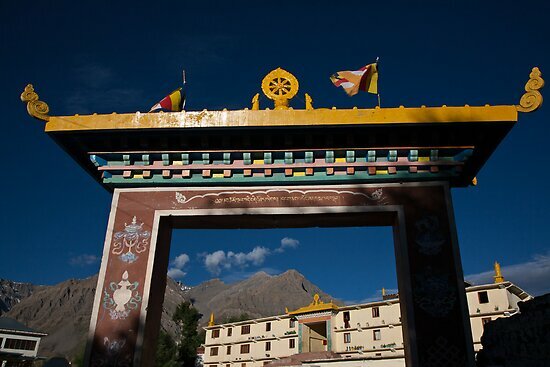 This monastery built around the year 1330 is situated in the Lahaul and Spiti district. In terms of architecture this “gompa” comprises of three rectangular shaped blocks that face the east. Furthermore, this monastery is considered to be the second oldest in the whole Himachal region. It is only recently that this Buddhist “gompa” received funds for its renovation. This monastery was built in 1330 it comprises of three rectangular blocks facing the east. It also represents the Tibetan tradition that existed in the past as well as it is today. In addition, this monastery comprises of paintings of a number of Buddhist deities on the inner walls, a number of statues, and volumes of sacred Tibetan texts Kenjur and Tenjur which have carefully preserved in white muslin. Furthermore, this gompa is renowned for a dance performance called the “Devil Dance” usually performed during the month of July, which also attracts a large number of tourists annually.